Good news: Apple has released firmware updates for the MacBook and MacBook Pro. These should resolve the random shutdown problem some MacBook owners have been experiencing and help the MacBook Pro run cooler. Speaking of cooler, Jason O'Grady discovered that the Core 2 MacBook Pro runs 40°F cooler than the original model, Logitech has a laptop stand with a built-in keyboard optimized for cooling and ergonomics, and CoolBook lets you monitor any Intel 'Book's CPU, decrease voltage, and manage fan speed - seems a very clever solution! In other developments, O'Grady explains why the Core 2 MacBook Pro and iMac are limited to 3 GB of RAM when you should be able to install 4 GB, iFixIt has a MacBook Pro Core 2 teardown, Hitachi is about to release a 250 GB notebook hard drive, and - so we don't leave G3 PowerBook owners completely out in the cold this week - FastMac has a high capacity battery for the PowerBook "Pismo". Apple to Ship 15" MacBook in May? "Apple Computer is offering a firmware update that the company claims will help alleviate random shutdown issues with its MacBook notebooks. "The Cupertino, Calif., computer maker posted the update - MacBook SMC Firmware Update 1.1 - on its Web site Oct. 26. The update, according to Apple, will help a MacBook's internal monitoring system and stop the computer from shutting down at random." Apple yesterday released MacBook SMC Firmware Update 1.1 which 'improves the MacBook's internal monitoring system and addresses issues with unexpected shutdowns.' The update was released to address RSS or Random Shutdown Syndrome that has plagued MacBook owners. "You must be running Mac OS 10.4.7 or 10.4.8 to install SMC Firmware Update 1.1. If you're running the required version of the OS the update will appear in Software update, alternatively you can download it directly from Apple (<1 MB). The update is recommended for all MacBook systems, including those that received warranty repair." The SMC Update improves the MacBook's internal monitoring system and addresses issues with unexpected shutdowns. The SMC Update improves the MacBook's internal monitoring system and addresses issues with unexpected shutdowns. This update is recommended for all MacBook systems, including those that received warranty repair. Note: If your MacBook is running Mac OS X 10.4.6, you won't be able to install the SMC Update until you update to Mac OS X 10.4.8. MacBooks running Mac OS X 10.4.7 will be able to download and install the SMC Update, so it is not essential that you update your system software, although Apple always recommends updating to the latest version of the system software. After this update has completed successfully, your SMC Version will be: 1.4f12. "Foxconn Electronics (the registered trade name of Hon Hai Precision Industry) will produce a 15.4-inch MacBook model for Apple for the first time, with shipments to commence in May 2007, according to sources at notebook makers. "Because of the new order, Asustek will no longer be the sole supplier for Apple's MacBook, the sources said. "Both Foxconn and Asustek declined to comment on the news." "Apple is gearing up to launch a 15.4in MacBook next May, a year after the Intel-equipped consumer notebook first came to market. So claims a Credit Lyonnais Securities Asia analyst, who also names Taiwanese contract manufacturer Foxconn - a.k.a. Hon Hai Precision Industry - as the manufacturer. "Analyst Vincent Chen's claim was relayed via Chinese-language newspaper the Commercial Times and subsequently through local websites who note the deal, if true, means Asus will see its MacBook orders cut by a third. It's currently believed to be the exclusive supplier. "However, it seems an odd move for Apple to make. The current MacBook, fitted with a 13.3in display, sits neatly below the metal-cased 15.4in MacBook Pro, itself second only to the 17in Pro model. Apple this week upgraded the Pro machines to Intel's Core 2 Duo processor, and it seems likely it will do the same with the MacBook, using form-factor rather than performance to distinguish the consumer machine from the pricier model. "If Apple ships a 15.4in MacBook, either it's going to drop the 15.4in MacBook Pro - unlikely, since this has become the line's defining form-factor - or it expects functionality to give buyers a reason to opt for the much more expensive model beyond the odd port or two. And that probably means keeping the MacBook's spec well behind the Pro's." Link: Apple to Ship 15.4in MacBook Next May? "I received my brand new MacBook Pro 2.33 GHz Core 2 Duo yesterday and was pleasantly surprised to learn that it runs much cooler than my previous MacBook Pro. "My Core Duo MacBook Pro 2.0 GHz (2 GB RAM and 160 GB hard drive) would frequently reach temperatures of 162° Fahrenheit after running for more than an hour. It would become so hot that it required me to run Fan Control 1.1 if I needed to use my machine anywhere near my lap. "I've been using a new Core 2 Duo MacBook Pro 2.33 GHz for over four hours straight (10+ hours on and off) and the temperature hasn't gone higher than 122° Fahrenheit (average is around 115°F) according to CoreDuoTemp - a drop of more than 40° Fahrenheit without using software like Fan Control." "Apple's announcement of the new Core 2 Duo MacBook Pro did more than raise the performance bar for their portables. The addition of the new, faster Intel chip in only the Pro model serves as a key differentiating factor between the consumer MacBook and the professional MacBook Pro. "Now that the Core 2 Duo is shipping in the MacBook Pro the gap between the two portables has widened considerably...."
"I came across smcFanControl while reading a software Pick of the Week posting on Mac OS X Hints the other week. I downloaded it, but didn't get round to giving it a try. Later, I saw it mentioned again, this time in a DailyTech report, so I decided to take it for a spin." "One of the big new features in the Core 2 Duo MacBook Pro is the new 3 GB RAM maximum that it supports. But 3 GB is a funny number for a machine with 2 RAM slots. Why not max that puppy out with two 2 GB sticks - for a total of 4 GB? "MacFixIt has learned that it's not a physical space limitation and that both of the new MBP's RAM slots are large enough to accommodate the bigger 2 GB modules." iFixit has posted the first internal photos of Apple's Core 2 Duo 'Merom' MacBook Pro. The MacBook Pro disassembly is immediately available online. We disassembled a new Core 2 Duo MacBook Pro. The disassembly features high resolution images of the redesigned logic board and Intel's new Merom chip. Also included is the first photos of Apple's 802.11n draft board for the MacBook, and Apple's new 6x dual-layer 9.7mm SuperDrive. iFixit is the Mac+iPod do-it-yourself company. iFixit launched in 2003 and instantly became a leader in the Mac laptop part industry, and introduced iPod parts in 2006. iFixit is dedicated to helping people everywhere keep their Macs and iPods running longer. For more information, visit iFixit.com or call 1-866-61-FIXIT. "Apple slipped another nice upgrade out with the announcement of the new Core 2 Duo MacBook Pro's yesterday: a 200 GB hard drive option. When configuring a new MacBook Pro at Apple's online store you'll notice the new option. "For US$200 you can upgrade from the standard 120 GB to Apple's new 200 GB mechanism. The previous highest capacity drive available was 160 GB. It is very rare for Apple to utilize drives that are not even on the market yet. They are usually a step behind in terms of HDDs. "It's interesting to note that the new 200 GB mechanism spins at only 4200 rpm but with that much data compacted on those tiny 2.5-inch platters they can actually have a better transfer rate than 5400 rpm drives since there is actually more data flying past the heads at any given moment." "A new MacBook Pro release, a new rash of forum posts across the Internet in which prospective buyers agonize over whether they should get a glossy or matte screen on their new MacBook Pros. I see it everywhere: Ars Technica, SA's SH/SC, Digg/Slashdot comments. "From where I sit, I think this discussion has taken a life of its own, a life created by community zeitgeist. What that means is that there's a very prevalent opinion out there (which is: avoid glossy because the reflection is so bad it will (a) kill your baby, and (b) render you blind), but largely, the opinion feeds itself because a few people hear it, perhaps believe it, and then repeat it to others, and from there it grows. It's a tipping point of sorts. "It's a lot like the love ThinkPads get. Yes, they're nice laptops, but not that nice. Still, if you read around people will wax downright religious about ThinkPads. I had one, a top-end T60p with every conceivable option, and it was nowhere near as nice as the 1st-gen MacBook Pro that replaced it." "Even as it does damage control on the random shutdown problem, Apple is trying to address other MacBook flaws, ranging from discoloration and cracks in some of its computer cases to strange sounds that come from inside them. At the same time, the Cupertino, Calif.-based company is in the middle of a monumental recall of laptop batteries that could catch on fire. "Apple Computer has a well-earned reputation of being solid to the core when it comes to quality. "As it struggles to keep up with dizzying growth, however, Apple is beginning to show some bumps and bruises. "Even as it boasts in advertisements about the relative stability and reliability of its newest computers ('I'm a Mac . . . and I'm a PC'), the company last week quietly acknowledged that an undisclosed number of its best-selling MacBook laptops have a flaw that causes them to inexplicably shut down, potentially causing the loss of important work and damage to other programs. "Apple late Thursday issued a software patch that is supposed to solve the random shutdown problem, but only after thousands of MacBook buyers complained about the issue and Apple offered a lackluster response." PR: Following a 36% quarter-over-quarter growth in unit shipment1, Hitachi Global Storage Technologies (Hitachi) is today unfolding a 2007 product strategy intended to secure the company's position as segment and technology leader for 2.5" hard drives. With two new products offering capacities in excess of 200 gigabytes (GB) of storage and a sustained track record of technology leadership in this product segment, Hitachi is positioned to continue its undefeated 2.5" leadership record into 2007 and beyond. The Hitachi Travelstar product line has maintained its position as the world's most popular 2.5" hard drive for nearly 15 years2. Over the next several years, the opportunity in the 2.5" segment is expected to grow significantly, and Hitachi is preparing to capture that growth. By 2010, industry analyst firm IDC predicts 2.5-inch hard drive annual shipments will double to 224 million units from 118 million in 20063. At that time, Hitachi believes the highest-capacity 2.5" product may be in the 750-GB range. In the near term, the anchor element of the Hitachi 2007 2.5" plan is a new product that is expected to offer leadership performance and storage capacity in a 200-GB, 7200 rpm package, slated for availability in the first half of 2007. This combination of high capacity and high performance underscores Hitachi's established position as manufacturer of the most powerful 2.5" hard drive. The second Travelstar product, a 5400 rpm hard drive, will offer storage capacity in the quarter-terabyte range and is expected in the second half of 2007. The new products will also provide hard-drive-level data encryption as a new feature for added security. In addition, Hitachi is offering a flash memory/hard drive hybrid option for enhanced battery life, greater performance and increased reliability. Hitachi's new 2.5" hard drives are expected to continue the industry-leading performance characteristics of their predecessors. Both Travelstar drives will use perpendicular magnetic recording (PMR) technology, building upon the highly successful volume ramp of Hitachi's debut PMR hard drive, the Travelstar 5K160. "The Travelstar products we have planned for 2007 give insight to what Hitachi believes are important to end-users in a mobile storage product: ample capacity for video and other rich content, superior performance and reliability, and greater confidence in the safety of their data as users are increasingly on the move," said Shinjiro Iwata, chief marketing officer, Hitachi Global Storage Technologies. "The 2.5" hard drive segment represents Hitachi's flagship product line, and we're working to ensure that Hitachi continues to set the pace of technology advancement for this category." Hitachi's new product developments will put the company in position to take advantage of IDC's projected 22% compounded annual growth rate (CAGR) of the 2.5" segment from 2005 to 20104. "A growing number of mobile PC users are placing a high value on storage capacity, performance, reliability and security while on the go," according to John Rydning, IDC's Research Manager for hard disk drives. "There is a tremendous opportunity for HDD OEMs such as Hitachi to establish market leadership by delivering high capacity mobile 2.5" disk drives equipped with value-added features to meet these challenging requirements." IDC's projection of the 2.5" hard drive growth shows the greatest opportunity to be in the portable PC category, followed by gaming consoles, external storage and automotive applications5. Hitachi participates in all of those segments and leads segment share in the portable PC category. The hard drive industry has used low-capacity flash memory for many years to store the firmware that controls the entire hard disk drive. With the decreasing cost of flash, Hitachi believes there is greater opportunity to increase the value of hard drives by storing some system functions to flash memory rather than on the disk. The potential benefit of a hybrid storage solution - especially for mobile devices - ranges from longer battery life, faster bootup time and recovery from hibernation, to greater reliability and higher performance. Combined with low-cost, high-capacity storage, the hybrid solution presents a significantly higher-value hard drive, especially in mobile product segments. New 2.5" products shipped in 2007 will offer hybrid as an option on the same base platform. Today, users are able to protect their hard drive with password security which prevents access to the drive but does not encrypt the data itself. Traditionally, for those who wished to secure their drives, the only viable solution was to use a software-based tool, which could slow down the system performance. With the rise in notebook theft and the relative ease in which software-based password security can be compromised, Hitachi is responding with a hard-drive-level encryption solution that is virtually impenetrable. In addition, Hitachi's introduction of full data encryption at the hardware level, allows data security to be carried out with little to no impact to system speed. Hitachi's version of hard-drive-level data encryption scrambles data using a password-generated key as it is being written to the disk and then descrambled with the key as it is retrieved. In hybrid hard drives, Hitachi's security technology encrypts data in both the flash memory and hard drive for the highest level of security. Hitachi employs the Advanced Encryption Standard (AES) algorithm, the industry standard for data encryption technology. Hitachi's data encryption technology will be offered as a new feature on all new 2.5" hard drives shipped in 2007 and beyond. 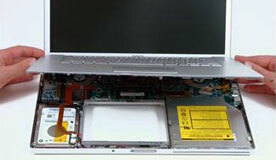 Notebook manufacturers and other customers will have the choice of whether to implement this feature on their systems. A new Apple Knowledge Base article describes the 15" MacBook Pro's I/O ports. "The external ports and connectors of a MacBook Pro (15-inch Core 2 Duo) can be found on both sides of the computer." "This developer note describes the 15-inch MacBook Pro computers based on the 2.16 GHz or 2.33 GHz Intel Core 2 Duo microprocessor and introduced in October 2006. The purpose of this note is to provide information about the computer's internal design, input-output features, and expansion capabilities to help developers design products compatible with the 15-inch MacBook Pro." 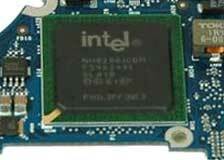 "This developer note gives a technical description of the Intel Core 2 Duo 17-inch MacBook Pro computer introduced in October 2006. The purpose of this note is to provide information about the computer's internal design, input-output features, and expansion capabilities to help developers design products compatible with the 17-inch MacBook Pro." PR: Logitech has made using a notebook computer more comfortable. The company today announced the Logitech Alto notebook stand, a one-piece notebook riser with an integrated, full-size keyboard - a product that levels the notebook screen with people's eyes and frees people's hands from the constraints of a cramped notebook keypad. Notebook PCs are fast-becoming the standard PC choice in homes around the world. But the compact form of a notebook PC often comes at the expense of comfort as people assume awkward postures to type on the small built-in keyboards, often with non-conventional key layouts, and stare down at the low-lying screens. The Logitech Alto addresses these comfort issues with a simple, all-in-one solution that opens like a book to reveal an integrated full-size keyboard on one side and an angled platform for the notebook PC on the other. The keyboard gives people the typing experience they are accustomed to having with a desktop PC, complete with a number pad, a media panel and a standard key layout, while the easy-to-set-up platform raises the monitor to eye level and establishes an ideal distance between the monitor and the user's eyes. Perfect for use at the desk or the kitchen table, the Logitech Alto takes less than 30 seconds to set up; it's as simple as placing a notebook PC on the stand and plugging in the USB cable. And it's designed to be equally as simple to put it away; by collapsing the stand and folding the product in half, reducing the size of the product to a slim and compact 9.33 by 16.84 by 1.41" (23.7 by 42.8 by 3.6 cm), making it easy to tuck away and clear valuable surfaces in the home. "Notebooks offer a tremendous advantage because people can use them around the house and take them on the road - but when it comes to sitting and using a computer for an extended period of time, people miss the comfort and advantages of the raised monitor and the full-size keyboard that a desktop PC offers," said Denis Pavillard, Logitech vice president of product marketing for keyboards and desktops. "The Logitech Alto notebook stand helps solve the comfort problem. And unlike a more complex and expensive docking station, Alto is simple to fold up and stash away when the notebook is not in use, so that people can also enjoy the benefits of open desk space." In addition to the ergonomic benefits offered by a full-size keyboard and having a monitor at eye level, the Logitech Alto keeps people's hands away from the heat generated by a notebook PC. In a recent study of 1,000 U.S. notebook users by research firm GfK Custom Research Inc. in conjunction with Logitech, 49% identified heat from a notebook PC as a drawback to using it. To offer additional wrist support, the Alto also includes a soft palm rest at the base of the keyboard. To further enhance the comfort of their notebook experience, people can use the premium new Logitech VX Revolution™ cordless laser mouse for notebooks. The VX Revolution mouse includes the revolutionary MicroGear™ Precision Scroll Wheel, sculpted contours, a rubber thumb grip, and low-resistance polytetrafluoroethylene feet that make navigating complex digital content more comfortable than ever. Unlike a docking station, Logitech Alto is compatible with many notebook PC brands; it can accommodate multiple computers and can be shared among household members. 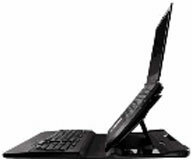 Because it uses USB to connect the built-in keyboard and USB hub, the Logitech Alto works with the vast majority of Windows-based notebook PCs on the market. Its hinge is designed to support notebook PCs that weigh up to 9 pounds (4 kilograms), which includes most notebooks currently available. The space-saving Logitech Alto is simple enough to set up and use on the kitchen counter on a moment's notice, and it's easy to pack it up and put it away. But it's also versatile enough to serve as a hub for other devices if people want to connect and use their notebook in a more permanent location. Three built-in Hi-Speed USB ports are available for connecting a variety of peripherals, such as one of Logitech's award-winning cordless mice for notebook PCs, a webcam, or even an external drive or printer, to the notebook. The Logitech Alto also includes a cable-management system that makes it easier to connect other corded peripherals without creating cord chaos. The Alto offers a sense of style to the notebook experience with its solid black surfaces and glossy black dashboard, which includes orange backlighted icons. The keyboard also includes one-touch media and volume controls and additional hot keys that deliver quick access to favorite applications, folders, and Web pages. Logitech Alto is expected to be available in Europe beginning in December and in the U.S. beginning in January. Its suggested retail price in the U.S. is $99.99. PR: FastMac has announced the highest capacity extended life battery upgrade for Apple's PowerBook "Pismo" computer. The new 84 Whr battery uses Lithium-Ion cells (with integrated charge indicator LEDs) that are manufactured to the highest quality standards and utilizes TruePower technology to provide up to 68% more capacity than the original Apple battery. FastMac's TruePower battery for the PowerBook Pismo is scheduled to ship within 10 days and is available for preorder for a special introductory price of $139.95. Each battery carries a 1 year warranty and a 30 day money back guarantee. FastMac's TruePower line of battery upgrades replace the computer's original battery with a larger capacity and longer lasting advanced power cell battery that utilizes TruePower technology. This technology incorporates sensors in the integrated circuit inside the battery that detect undesirable levels of swelling or a short circuit that will power off the battery in certain extreme conditions. TruePower batteries do not contain or use any Sony cells that are subject to the recent series of recalls issued by major computer manufacturers. "Get ready for extra innings," said Edward Savio, President of FastMac Performance Upgrades, Inc. "Whether you're watching the World Series or traveling the world, this is the best battery for your PowerBook, period." FastMac's TruePower battery can also be combined with a G4 550 MHz processor upgrade to obtain the ultimate PowerBook Pismo. Combining FastMac's low voltage, low-power and cooler running G4 Processor design with the highest capacity battery on the market yields even longer battery run times than a stock PowerBook Pismo. "With 2 battery bays and our G4 upgrade, you can literally go halfway around the world without a recharge," said Michael Lowdermilk, Business Development Manager for FastMac Performance Upgrades, Inc.
FastMac's line of TruePower batteries for laptops are engineered using the highest quality, high-capacity Lithium cells, keeping safety in mind at all times. FastMac utilizes custom form factors and materials to achieve a superior fit and finish, matching the original battery whilst increasing capacity. Each battery is individually tested and includes safety features to protect against overcharge, overheating, short circuits and power surges. All TruePower batteries carry at least a 1 year warranty and in some cases, a 2 year warranty. FastMac's TruePower line includes battery upgrades for all iPods & all Apple portables released after 1997, including the world's longest lasting PowerBook battery with up to 68% more capacity than the original. FastMac is also first to market a replacement battery for Apple's latest MacBook portables. TruePower is the name of an innovative new technology designed to extend the life of ordinary Lithium Ion cells, commonly used in most rechargeable batteries. More than 4 years in development, this patented technology allows tiny ceramic particles (each less than a millionth of a millimeter in size) to be integrated into the molecular structure of the chemical binding agent found inside each Lithium Ion battery. These particles then link-in with each other & a proprietary energy management circuit to create an extremely dense and highly conductive layer on the surface of a capacitor-enhanced battery pack. This combination delivers the power necessary to satisfy the pulse demands placed on most batteries, whilst ensuring the protection of the Lithium cell matrix. This results in battery packs that can be recharged many more times as well as yielding longer run times per charge. Whereas ordinary battery packs start losing their power within a few months, TruePower-enhanced battery packs continue giving consistent power for long periods, allowing OEMs to offer warranties of 2 years or more. More information about TruePower is available via the website. FastMac's battery upgrades utilize TruePower technology- a patented material & energy management circuit that is designed to protect the battery's internal lithium crystal matrix from damage caused by power spikes. These spikes occur when the computer demands a sudden high current peak- for example, to turn on the backlight or to load the next data sectors. Over time, these power spikes decrease capacity, runtime and battery life, eventually rendering the power cells unusable. Through the use of TruePower technology, the energy management circuit is able to smooth out the power spikes and lower the rate of decay. This protects the battery and leads to a longer life cycle. Not only does this extend the usability of the computer, it also helps the environment by curbing the depletion of chemicals and plastic materials used in battery products and reducing the number of waste batteries sent to landfills. More information about FastMac's battery upgrades is available via the website. PR: TechRestore, Inc. has announced that they have begun offering a 200 GB drive upgrade as part of their overnight hard drive upgrade service for MacBook and MacBook Pro systems. The new upgrade features the first 200 GB Serial ATA drive upgrade available for notebooks. The high-speed overnight service includes installation of the new drive into the users notebook and data transfer from the old hard drive onto the 200 GB SATA drive. An exact clone of the users old hard drive is transferred to the new drive, ready for immediate use when their notebook is returned to them via overnight courier. Nationwide door-to-door pickup service is available for the upgrade, with personal couriers picking up customers notebooks from virtually any location. An option is available to install the users old drive into a portable external enclosure. "The new Toshiba 200 GB SATA notebook drive uses perpendicular recording technology to maximize storage capacity and insure long term integrity of your data," said Shannon Jean, Founder and President of TechRestore. "We're thrilled to add this drive to our Overnight Upgrade program to give MacBook owners the highest capacity drive upgrade with minimal downtime." The 200 GB overnight upgrade is $399 including the hard drive, installation and data transfer. 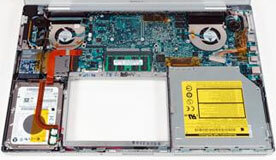 The upgrade includes a 1-year warranty from TechRestore and a 5-year warranty on the hard drive from the manufacturer. The service is available immediately. PR: Pacific Design, an industry leader in iPod cases and cutting edge laptop bags, is proud to introduce The Ruckus Laptop Bag Collection, an innovative line of laptop backpacks and messenger bags designed for urban, professional and student lifestyles. The Ruckus Laptop Bag Collection merges fashion and function with its innovative, lightweight and slim design, coupled with laptop protection and multiple storage compartments to accommodate all of today's communication and entertainment devices. Both the Ruckus Laptop Backpack and the Ruckus Laptop Messenger Bag are up to 30 percent lighter than other similar laptop bags, super slim, constructed of water-resistant materials and loaded with thoughtful and functional organizational features. Features include an ergonomic shoulder strap structure, 360 degree laptop protection, dedicated media storage, an AC/cable zipper pouch, a protective iPod/MP3 pocket, a "seamless" water-resistant compartment, and a felt-lined luxury items pocket. 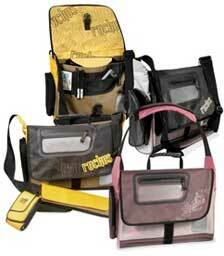 Customers who register their Ruckus products online will receive a free removable cell phone/iPod pouch. Both Ruckus laptop bags come in striking color combinations including: olive/bold black /super yellow, rose white/granite gray/posey pink, bold black /slate gray/pearl gray, and coming in March 2007, slate gray/sand/tiger orange. 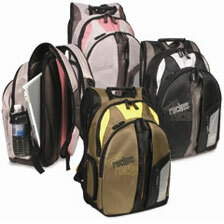 The Ruckus Laptop Bag Collection will be available at North American retailers including Sony Canada in November 2006 and Staples in January 2007. The Ruckus Laptop Backpack will retail for $69.95 and the Ruckus Laptop Messenger Bag will retail for $59.95. Online retailers that will be taking preorders today include Ebags, CDW, and Pacific Design, which just launched a commerce-enabled website this month. Pacific Design, a privately-held firm, is a certified Woman-Owned Business Enterprise (WBE). For more information, visit the website or call 888-797-8755. PR: difusi's medius laptop carrying case designed for the MacBook 13.3-inch (Widescreen) and MacBook Pro 15 and 17" Laptops from Apple Computer. The difusi medius case is built using (9) nine panel construction which in turn provides a compact, very spacious interior for carrying all of the items you could possibly want in a carrying case. Beautiful, yet tough as nails. Designed from the ground up specifically for 13.3 Widescreen and 15" or 17" notebooks and tablets PCs. The medius case has built-in "Travel-Safe" protection that provides an extra layer of rugged padding to protect your laptop from the everyday hazards of on-the-go mobility, with extensive testing to make sure your laptop is protected from everyday hazards of use. The main computer compartment has built-in travel-safe padding which provides drop protection up to (5) five feet on concrete surfaces. All difusi cases provide protection from the hazards of everyday use including compression tests and the five (5) foot drop test onto concrete. Because of the reinforced construction, difusi cases not only look great, they are setting a new standard in case security and reliability. This is one accessory you won't want to hide under your desk. These cases have over-padded handles, adjustable leather straps and padded leather zipper pulls for ease of use and comfort. They use solid steel mounting and interlocking face plates with rear panel reinforcement to guarantee these cases will last through a lifetime of use. The cases have (6) built-in compartments including an iPod holder for storing most items in your mobile office. We offer color choices with Gray or Black interior fabric choices. Fits perfectly with most manufacturers 15-inch laptops. difusi builds cases with options to fit any budget. Purchase the Nylon and leather case at an affordable price or move up to the full-leather exterior pro edition. Either way you are getting the best case for your dollar. Material Soft Black Napa Leather with Gray Jacquard Nylon Interior. &#149; Designed for most 15-inch laptops including the MacBook Pro 15, iBook 15-inch and PowerBook 15-inch lines. PR: CoolBook is a program for the MacBook and MacBook Pro computers. It lets you monitor the frequency, voltage, and temperature of the Core Duo CPU. Registered users can also change the frequency and voltage of the processor, which can greatly reduce heat buildup. And that means less fan usage, and thus increased battery life. Download and try CoolBook before you buy the license. That way you know it works with your Mac. System requirements: Core Duo MacBook Pro and MacBook. Your CPU temperature directly in the menu bar - so you'll always have an overview. Average values of the past 10 minutes. MenuTemperature is free. You have nothing to lose by giving it a try. Works on (almost) any computer with Mac OS X 10.4 Tiger. 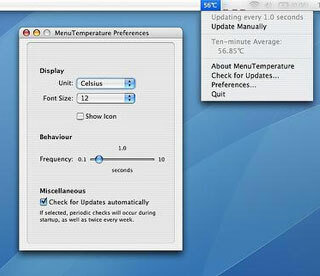 MenuTemperature is a Universal Binary, and thus runs on both PowerPC- and Intel-based Macs, supporting the temperature sensors of numerous different models. Please note that this version does not have French and Traditional Chinese localizations. 1.0.6 is the latest version for those localizations. Do not update to 1.5 if you rely on these localizations. This version has French and Traditional Chinese localizations. Do not update to 1.5 if you rely on those. Solved a problem concerning paths with spaces. System requirements: Mac OS X 10.4 or later and a supported machine.